If medications and physical therapy aren’t improving your chronic back pain, spinal surgery may be the answer. At Spine Group Beverly Hills in Los Angeles County, John Regan, MD, offers innovative, minimally invasive spinal surgery options to relieve pain and increase your mobility. 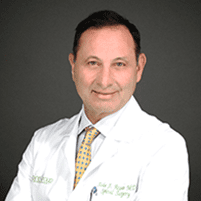 Dr. Regan is a highly respected, fellowship-trained spine surgeon whom you can trust if you have spinal stenosis, herniated discs, scoliosis, or other spine problems. To find out if you’re a candidate for spinal surgery, contact Dr. Regan’s office online or by calling his office in Beverly Hills or Santa Monica. Do I need spinal surgery? In many cases, back pain resolves with other treatment options, such as physical therapy and medications. But if your back pain is interfering with your life or is disabling, you may benefit from spinal surgery. Dr. Regan can determine if you need spinal surgery based on your symptoms and medical history. He creates a custom surgical treatment plan to address your specific needs and outlines what type of surgery is right for you. What types of spinal surgery are available? Dr. Regan specializes in several spinal surgery procedures, including artificial disc replacement, decompression surgery, and spinal fusions. Many of his procedures are minimally invasive, allowing for smaller incisions that offer faster recovery time and less risk of complications. If you have a herniated or ruptured disc, Dr. Regan may recommend a discectomy to remove the herniated part of your disc and decrease pressure on surrounding nerves. When your discs are damaged beyond repair, he may recommend disc replacement surgery. If you have spinal stenosis, Dr. Regan may choose to perform a laminectomy, a procedure in which he removes the back portion of the vertebra that covers your spinal canal. This enlarges the canal to reduce pressure on the nerves and alleviate your pain. Why would I need spinal fusion surgery? There are several conditions that may require spinal fusion surgery, a procedure in which Dr. Regan fuses two or more of your vertebrae together. He uses the innovative coflex® device to secure your vertebrae in place and provide stability in your spine. In many cases, spinal surgery is a last resort for treating progressive spinal conditions when other therapies don’t work. How do I prepare for spinal surgery? There are many factors that influence the success of the surgery and your recovery time. Dr. Regan may advise you to stop taking certain medications, such as aspirin and ibuprofen, in the days leading up to surgery to prevent complications during and after surgery. If you smoke or use tobacco products, you need to quit several months before your surgery date. Tobacco use can increase your risk for surgery complications, including slow-healing incisions and infections at the surgical site. It can also interfere with your use of anesthesia. To find out if spinal surgery is right for you, schedule an evaluation online or by calling the office.